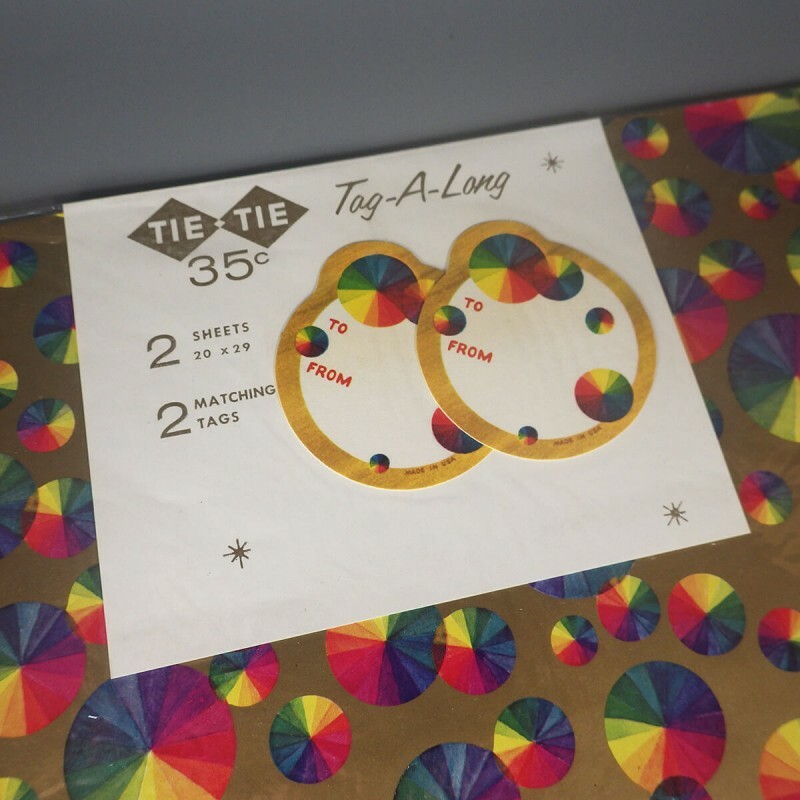 A fun, colorful vintage Tie Tie gift wrap in a rainbow prism color wheel pattern, with wheels that brings thoughts of shiny bubbles, in various sizes ranging from 3/8 inch to 1-1/4 inch wide. 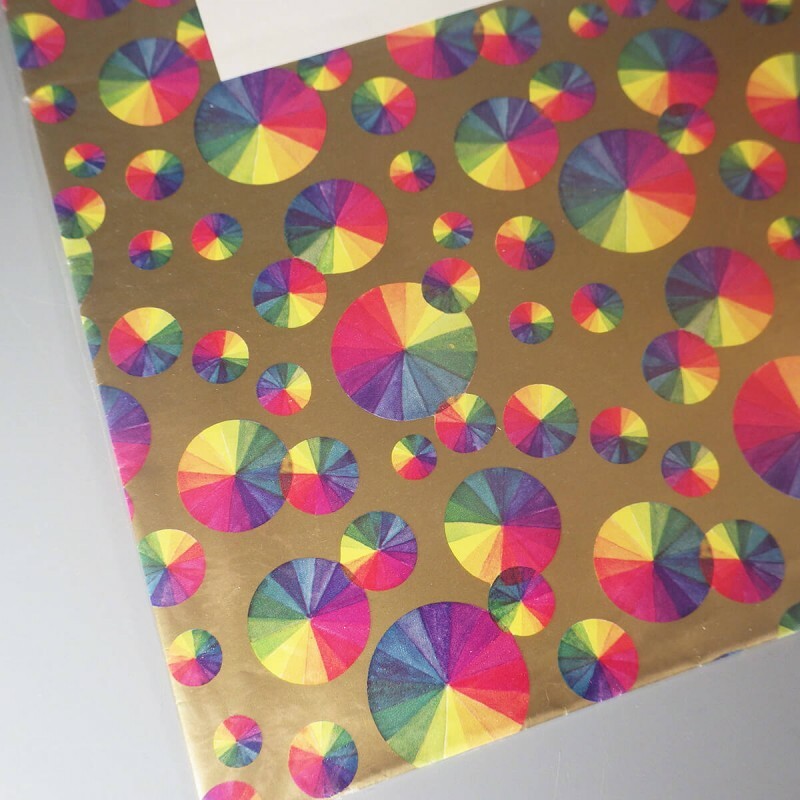 Limited only by the imagination, I imagine this paper could be used for wrapping or decorating almost anything! 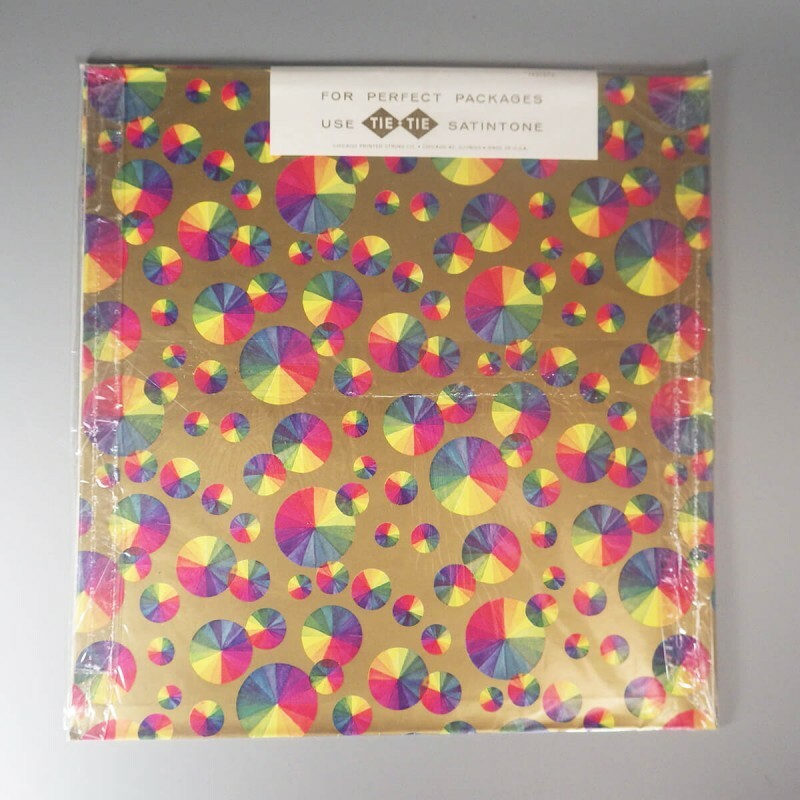 Be sure to also check out the other vintage gift wrap! 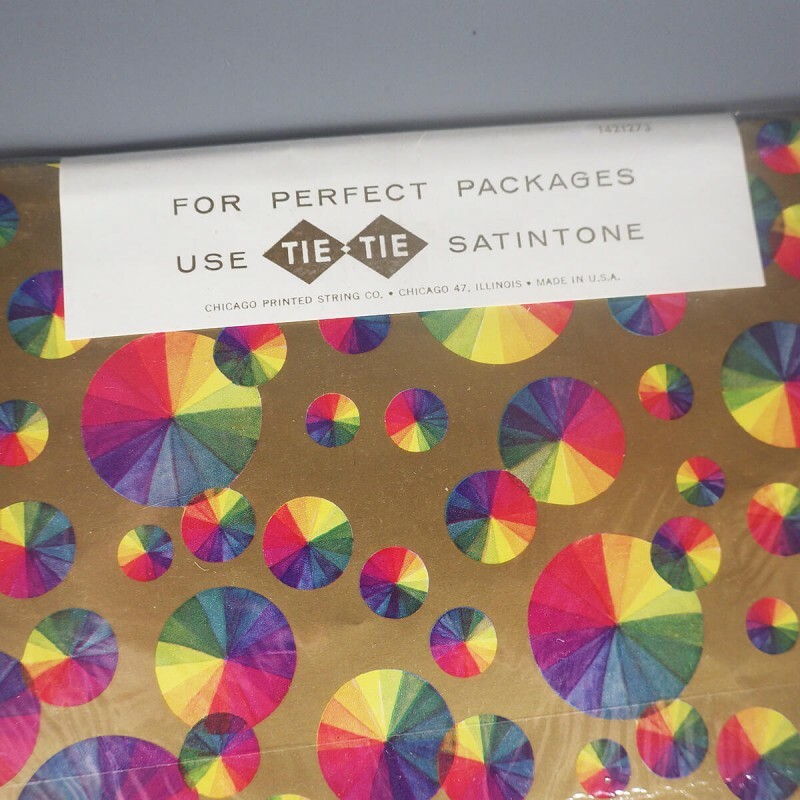 New old stock (NOS) unopened package of vintage Tie Tie gift wrap with a velvety flocked textured rose pattern design in a light silver with a white textured design. Sheets measure 20 inch x 26 inch. 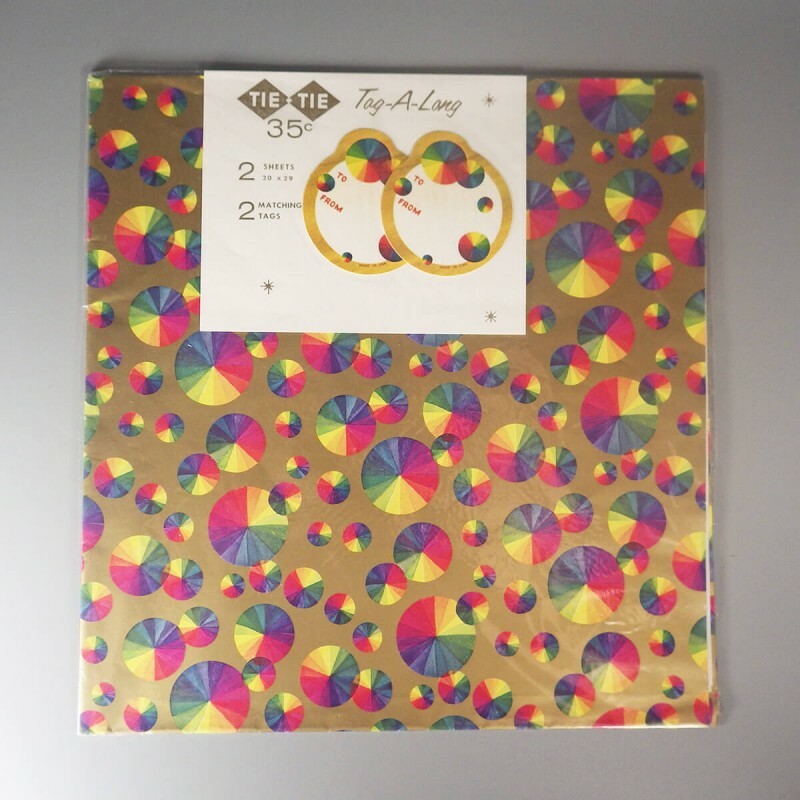 A most unusual vintage gift wrap, perfect for gift wrapping or even for the creative crafter. This paper likely dates to the 1960s. Be sure to also check out ..